Andrea has a nightmare where she is tempted by Lord Morningstar, head of the Shadows. Hanna is gravely hurt in a battle with the Shadows. Dreaming, Andrea finds herself traveling with her Uncle Rob and Aunt Bernice down a country road towards their house. With Hanna's help, Andrea notices something wrong with the house, and then the sun. She soon realizes she's having a nightmare about the Shadows and attempts to wake up, but is unable to. Running, the shadows begin to give chase, but are stopped by Morningstar, telling them to destroy Hanna. Morningstar appears as a king to Andrea as she cries under a tree and asks for a moment of her time in exchange for helping her escape the dream. After hearing his offers, she refuses, saying she already IS an angel. Morningstar claims that a deal is in place, and that Hanna's interference (whistling as a bird to attract Andrea's attention), has broken the deal. Morningstar then attempts to kill Andrea at the same time the shadows return and impale Hanna. With Morningstar nearly caught up to Andrea, Andrea manages to muster up enough power to do the same light-blast that Hanna did earlier to destroy the other two shadows. Morningstar's scream attracts the attention of the Shadows fighting Hanna, causing them to leave before they have killed her. Draining life, Hanna's brightness begins fade, but not before she transports Andrea and herself into deep space. Hanna gives Andrea a gift and a promise, but the promise is never said as Hanna passes out. Just before passing out, she sends them both back to her room. Diana finally makes it back to the Angel's headquarters and explains Hanna's recent off behaviour to the True Angel Michael just as True Angel Ridhaa reports that there's been a shadow fight and Hanna has dissapeared. Fearing the worst, he rounds up several angels and the Misericordia (shadows who have repented and joined the angels) to find her.Andrea pretends to sleep as Michael and Diana find the nearly blackened Hanna, and take her home. Michael is obviously disturbed that Hanna has talked directly to a human, as well as broken several other rules, as he leaves. Waking up the next morning, Andrea realizes she has a halo that only she can see. When talking to her classmates the next morning, no one believes her. Morningstar attempts to coerce Andrea to join the shadows with a long heart-to-heart. Andrea refuses because she believes she is ALREADY an angel. Morningstar claims Hanna is not really an angel and wants to force Andrea into servitude. He also claims that there is a deal in place, and Hanna's interference has broken the deal this time. Later, Hanna claims "I'm free" and "It's over" when Andrea defeats Morningstar. Andrea manages to muster up enough power to do the same lightblast Hanna did to disable Morningstar. A shadow mentions that "eight out of nine isn't bad at all...." Earlier, Morninstar mentions "You are the only one who has not joined me." There have been eight others Hanna and Morningstar have tested, and Andrea is the only one who hasn't joined the Shadows. Hanna begins to fade from bright light to grey. She's almost black by the time she is found by Diana. Hanna transports herself and Andrea into deep space, yet the True Angel Michael claims "We can't leave the planet." The angels live far underground in what seems to be a war bunker. They are led by the True Angel Michael. First appearance of the Misericordia, a group of Shadows who have repented and work menial tasks for the angels. Hanna makes a promise to Andrea, but never reveals what it is. Andrea then receives a gift, a halo that only she can see. True Angel Michael reveals that Hanna has broken several rules tonight, such as speaking directly to humans, removing her mask, engaging Shadows alone and drinking their water. The title "The Final Nightmare" comes from a Robotech episode. The nightmare Andrea has is, with small exeptions, a nightmare the author had in childhood. Rob and Bernice are based on the aunt and uncle from that same dream. The first photographic background shows up here. The artist cites time constraints and a large photo gallery for their use in the the series. Most are doctored to at least look as if they're painted. Andrea wears the same outfit that Hanna does, minus headdress. The gradiated borders denote what's a dream, and what's not. Hanna attracts Andrea's attention by whistling a bird call. We see her doing bird calls to attract hunters to prey in "The Lesson of Patience." The shadows say "By your command" to Morningstar's image - another Battlestar Galactica homage. The King's crown is three horned, mirroring the three "tails" trailing from his head. The crown itself is based on the one Starscream wears in the Transformers movie. In "The Final Nightmare, Part Five" all of Morningstar's dialogue is the truth, he is not decieving Andrea. Roger was initially going to be a recurring character through the series, but his story was never started. The story, in which Andrea tells her classmates about what happened, was compressed to two panels in the last episode of "The Final Nightmare." His role was assumed by Iblael, later in the series. The first two guest strips appear here, by Sarah Clarke and Rebecca Dowgiert. They were comissioned while trying to catch up on Closetspace episodes. A second half to the dream was planned but never shown, involving Andrea finding a mansion with three floors, one showing her at seven, the next at seventeen and the final one at twenty seven. Eventually she would have been led into the cellar to talk with Morningstar there. Andrea manages to muster up enough power to do the same lightblast Hanna did to disable Morningstar. In keeping with the new plot involving color, the center of the blast is blue. Hanna's color begins to darken through the rest of the episode, foreshadowing an upcoming character, Abaddon. Underground, the angels do not glow. Michael's costume is a high collared tunic, his head-dress is pinned to his right shoulder, draping over his left arm. The pin is light grey, even when his uniform is glowing. Like Hanna's killmarks, this is used to identify him when he is wearing his mask. Ridhaa means "Goodwill" in Swahilli. The Misericordia are a group of the most evil individuals of human society, who, when they died, repented and joined the angels doing their most painful or menial tasks. They are based on the Bretheren of the Misericordia, a religious group who do work no one else wished to do to repay crimes and debts of character. Hanna's last name is "Alfagauchmeier." Although not mentioned in the series, her clan name in the Tribe of Ehrem is "Alfagauch." Meier was Hanna's father. When Michael considers the rules Hanna's broken, the pose is obviously based on Auguste Rodin's The Thinker. 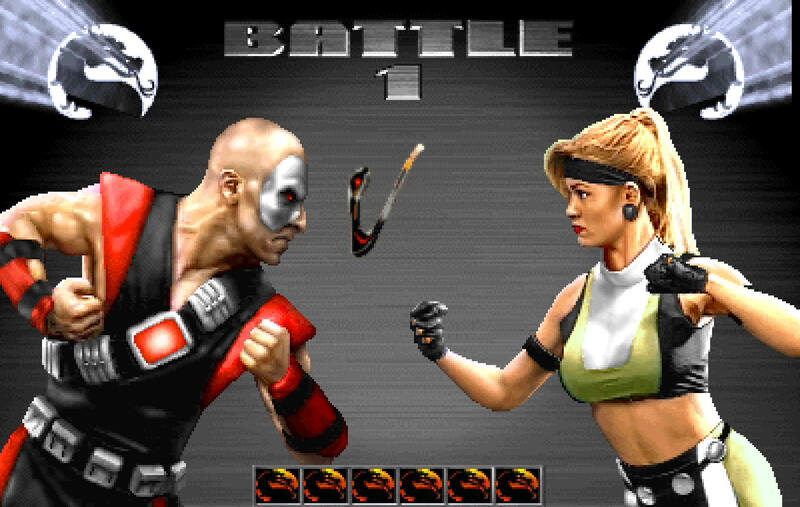 The final title card revealing the title of the next episode and showing the seventeen year old Andrea for the first time is based on the versus screens for Mortal Kombat 3.